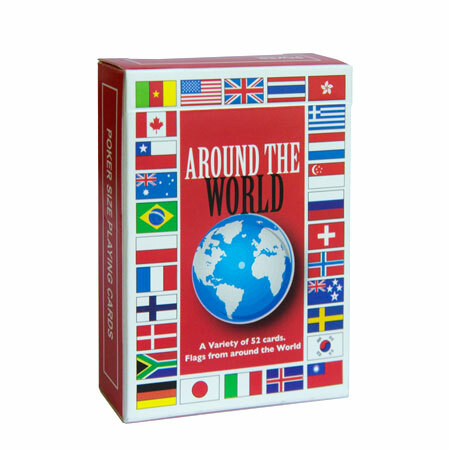 Around the World- with cards! 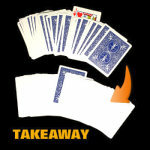 This card effect is as stunning as it is SIMPLE TO DO! 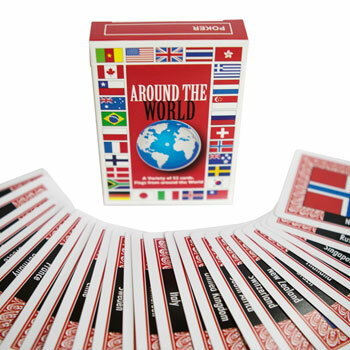 After placing your written prediction face down in full view of your spectator, show him your Around the World card deck. 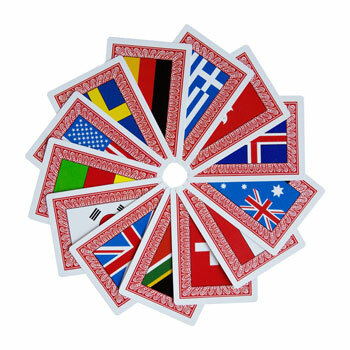 There are regular card faces on one side, but on the back of each card is the flag of a different nation. 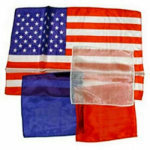 Yes, there is a U.S. flag, a flag from Chile, Norway, Sweden... many countries- even a flag from the Netherlands for Dirk! 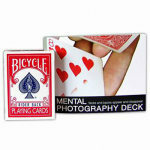 After showing the flags, you let the spectator name a playing card- ANY playing card, no force! 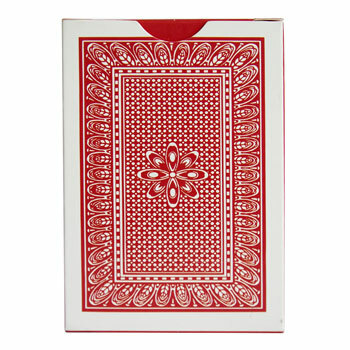 You turn the cards face up, and fan through until you find the card he named. (You can have the cards all in order by suit to make it easier to quickly find the chosen card). Let the spectator remove the chosen card, and let him turn it over to see which country's flag is on the back. Then let the spectator turn over your prediction. 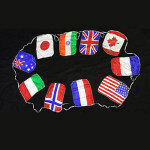 You predicted the flag that would be chosen! This is an incredible trick that will work EVERY TIME! 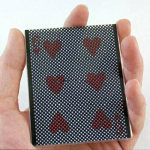 If you can hold a deck of cards in your hand, you can do this trick! 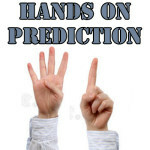 You supply a business card or piece of paper to write your prediction. Fantastic and simple mentalism! 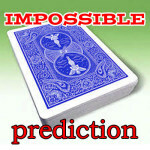 Very simple to perform and has a great mind blowing reveal! 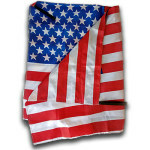 Ideal for history buffs too! Add some patter and you have a few minutes of fun!! Try it, you won't be disappointed!! !